February 1, 1901Actor, (William) Clark Gable, is born in Cadiz, Ohio. Regarded as The King of Hollywood, he was a leading man in more than 60 motion pictures in a career that spanned three decades. Gable began his career as a stage actor and appeared as an extra in silent films between 1924 and 1926, progressing to supporting roles with a few films for Metro-Goldwyn-Mayer (MGM) in 1931. He is best known for the role of Rhett Bulter in Gone with the Wind, for which he received an Oscar nomination. He appeared in the films No Man of Her Own, It Happened One Night, The Call of the Wild, Mutiny on the Bounty, San Francisco, Boom Town, The Hucksters, Mogambo, Betrayed, The Tall Men, Teachers Pet, But Not for Me, and The Misfits. 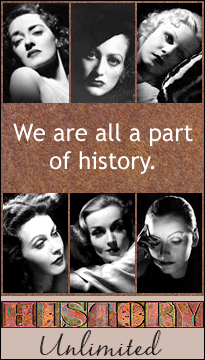 He was married to actress, Carole Lombard. February 2, 1887The first Groundhog Day is observed in Punxsutawney, Pennsylvania. According to folklore, if it is cloudy when a groundhog emerges from its burrow on this day, then the spring season will arrive early, some time before the vernal equinox; if it is sunny, the groundhog will supposedly see its shadow and retreat back into its den, and winter weather will persist for six more weeks. Modern customs of the holiday involve early morning celebrations to watch the groundhog emerging from its burrow. The largest Groundhog Day celebration is still held in Punxsutawney, where crowds as large as 40,000 (nearly eight times the year-round population of the town) gather to celebrate the holiday. Groundhog Day, already a widely recognized and popular tradition, received widespread attention as a result of the 1993 film Groundhog Day starring Bill Murray. February 3, 1468German blacksmith, printer, publisher and artist, Johannes Gutenberg, dies in Mainz, Electorate of Mainz. He was buried in the Franciscan church at Mainz, the church and cemetery were later destroyed, and Gutenberg's grave was lost. Gutenberg was the inventor of movable type printing. The introduction of this technique brought about mass communication, and he is widely credited with a key role in the onset of the Renaissance, Reformation, and the Age of Enlightenment. Gutenberg's invention of movable type printing is thought to be the single most important event of the modern period. His major work, the Gutenberg Bible, is still valued for its technical quality. February 4, 1789George Washington is unanimously elected the first President of the United States by the U.S. Electoral College. James Adams is the first Vice President. Washington was widely admired for his strong leadership qualities and was unanimously elected president by the Electoral College in the first two national elections. He oversaw the creation of a strong, well-financed national government that maintained neutrality in the French Revolutionary Wars, suppressed the Whiskey Rebellion, and won acceptance among Americans of all types. Washington's incumbency established many precedents still in use today, such as the cabinet system, the inaugural address, and the title Mr. President. Washington was inaugurated on April 30, 1789, taking the first presidential oath of office on the balcony of Federal Hall in New York City. The oath, as follows, was administered by Chancellor Robert R. Livingston: "I do solemnly swear that I will faithfully execute the Office of President of the United States and will, to the best of my ability, preserve, protect, and defend the Constitution of the United States." Historian John R. Alden indicates that Washington added the words "so help me God." The 1st United States Congress voted to pay Washington a salary of $25,000 a year (a large sum in 1789, valued at about $340,000 in 2015 dollars). Washington was then facing financial troubles, yet he initially declined the salary. At the urging of Congress, he ultimately accepted the payment to avoid setting a precedent whereby the presidency would be perceived as limited only to independently wealthy individuals who could serve without any salary. The president was aware that everything he did set a precedent, and he attended carefully to the pomp and ceremony of office, making sure that the titles and trappings were suitably republican and never emulated European royal courts. February 5, 1967The Smothers Brothers Comedy Hour premieres on CBS-TV. The series was a major success, with content that appealed to contemporary youth viewership and what was then considered daring political satire. The show debuted as a slightly "hip" version of the typical comedy-variety show of its era, but within weeks it rapidly evolved into a program that extended the boundaries of what was considered permissible in television satire. The shows writers included Jim Stafford, Steve Martin, Don Novello ("Father Guido Sarducci"), Rob Reiner, Lorenzo Music ("Carlton The Door Man" on Rhoda), Pat Paulsen, Bob Einstein ("Super Dave Osborne"), Einstein's brother, Albert Brooks, and resident hippie Leigh French. Major music acts like George Harrison, Joan Baez, Buffalo Springfield, Cass Elliot, Harry Belafonte, Cream, The Who, Donovan, The Doors, Janis Ian, Jefferson Airplane, Spanky and Our Gang, Steppenwolf, Simon and Garfunkel, Ray Charles, Pete Seeger, and Peter, Paul & Mary appeared on the show. 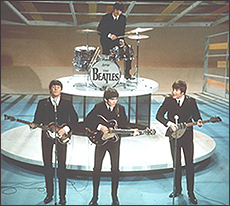 In 1968, the show broadcast promotional films (later known as "music videos") for The Beatles' songs Hey Jude and Revolution. Despite this success, continual conflicts with network executives over content led to the show being abruptly pulled from the schedule in 1969, due to violation of the Smothers Brothers' contract. Even with the cancellation, the show won the Emmy Award that year for Outstanding Writing for a Comedy, Variety or Music Series. February 6, 1945Reggae singer-songwriter, Bob Marley, is born Robert Nesta Marley in Nine Mile, Saint Ann Parish, Jamaica. Starting in 1963, with the group The Wailers, he forged a distinctive songwriting and vocal style that would resonate with audiences worldwide. Most of Bob Marley's early music was recorded with Peter Tosh and Bunny Wailer, who together with Marley were the most prominent members of The Wailers. 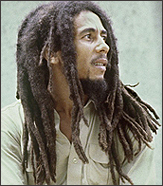 After the Wailers disbanded in 1974, Marley pursued a solo career upon his relocation to England. In 1975, he had his first solo hit outside Jamaica with No Woman, No Cry. This led to the release of the album Exodus in 1977, which established his worldwide reputation and elevated his status as one of the best-selling artists of all time, with sales of more than 75 million records. His other hits include Stir It Up, Get Up, Stand Up, I Shot the Sheriff, and Redemption Song. Albums recorded with The Wailers include The Wailing Wailers, Soul Rebels, Catch a Fire, Burnin', and Natty Dread. His son is singer, Ziggy Marley. 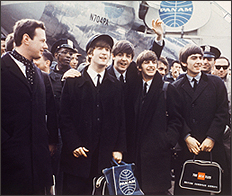 February 7, 1964The Beatles arrive in America for the first time, being welcomed with extreme media coverage and already rampant Beatlemania. The demands on their time never let up from the moment they set down at John F. Kennedy International Airport, greeted by 5,000 screaming fans, until their return home on February 21st. Reporters, photographers, radio stations, and TV news crews follow their every move. Added to this was the film crew accompanying The Beatles to shoot a documentary of their first American visit. The results of the documentary filming was a British broadcast on February 12th titled, Yeah! Yeah! Yeah! The Beatles in New York, and a U.S. broadcast on February 13th called, The Beatles in America. Over the next few days, John Lennon, Paul McCartney, George Harrison, Ringo Starr, and their manager, Brian Epstein, give extensive interviews to disc jockeys, Murray the K and Ed Rudy. The Beatles' U.S. merchandising company, Seltaeb, is inundated with requests for licenses to market Beatles merchandise. Baskin-Robbins even introduces a "Beatle-Nut" ice cream in honor of the Fab Four. The Beatles entourage includes record producer, Phil Spector, a hearty contingent of press, and for the first time in public, Johns wife, Cynthia Lennon. They are wisked through immigration into a chaotic press conference where their off-the-cuff wit wows the hard-nosed American media, and the world is never the same. February 8, 1931Actor, James (Byron) Dean, is born in Marion, Indiana. Dean's enduring fame and iconic popularity rest on his performances in only three films, all leading roles: East of Eden, Rebel Without a Cause, and Giant. However, he appeared briefly in several earlier films that were uncredited: Fixed Bayonets!, Sailor Beware, Has Anybody Seen My Gal?, and Trouble Along the Way. Prior to his film work, he appeared in dramatic roles on dozens of TV programs, including CBS Television Workshop, Hallmark Hall of Fame, Tales of Tomorrow, Armstrong Circle Theatre, and The United States Steel Hour. Considering that James Dean's movie career only spanned 18 months, it's remarkable that he still enjoys such legendary status, over 50 years after his death, remaining one of cinema's most enigmatic stars. February 10, 2014Child star, Shirley Temple, dies of chronic obstructive pulmonary disease in Woodside, California, at age 85. Temple began her film career in 1932, at the age of three. In 1934, she found international fame in Bright Eyes, a feature film designed specifically for her acting, singing, and dancing talents. She appeared in the films Little Miss Marker, Baby Take a Bow, The Little Colonel, Curly Top, Poor Litte Rich Girl, Dimples, Wee Willie Winkie, Heidi, Rebecca of Sunnybrook Farm, The Little Princess, The Bluebird, Since You Went Away, Ill Be Seeing You, The Bachelor and the Bobby-Soxer, Fort Apache, and The Story of Seabiscuit. Many Shirley Temple-inspired products were manufactured and released during the 1930s. Ideal Toy and Novelty Company in New York City negotiated a license for dolls that made $45 million in sales before 1941. A mug, a pitcher, and a cereal bowl in cobalt blue with a decal of the little actress were given away as a premium with Wheaties cereal. Temple announced her official retirement from films on December 16, 1950. As an adult, Shirley Temple Black had a second career in politics as United States Ambassador to Ghana and Czechoslovakia. February 12, 1809Abraham Lincoln, the 16th President of the United States, is born in a one-room log cabin on the Sinking Spring Farm in Hardin County, Kentucky. Lincoln led the United States through its Civil War: its bloodiest war and its greatest moral, constitutional, and political crisis. He therefore preserved the Union, abolished slavery, strengthened the federal government, and modernized the economy. As a youth, Lincoln disliked the hard labor associated with frontier life. Some of his neighbors and family members thought for a time that he was lazy for all his "reading, scribbling, writing, ciphering, and writing poetry." Largely self-educated, he became a lawyer in Illinois, a Whig Party leader, and was elected to the Illinois House of Representatives, in which he served for eight years. Elected to the U.S. House of Representatives in 1846, Lincoln promoted rapid modernization of the economy through banks, tariffs, and railroads. During his presidency, one of his most famous moments was his Gettysburg Address. In 272 words, and three minutes, Lincoln asserted that the nation was born not in 1789, but in 1776, "conceived in Liberty, and dedicated to the proposition that all men are created equal." He defined the war as an effort dedicated to these principles of liberty and equality for all. The emancipation of slaves was now part of the national war effort. He declared that the deaths of so many brave soldiers would not be in vain, that slavery would end as a result of the losses, and the future of democracy in the world would be assured, that "government of the people, by the people, for the people, shall not perish from the Earth." Abraham Lincoln has been consistently ranked both by scholars and the public as one of the greatest U.S. presidents. February 13, 1866Jesse James and his gang commit the first armed bank robbery in American history at the Clay County Savings Association in Liberty, Missouri. They got away with $15,000. Hailing from the "Little Dixie" area of western Missouri, James was the most famous member of the James-Younger Gang. He and his brother, Frank James, were Confederate guerrillas or bushwhackers during the Civil War. They were accused of participating in atrocities committed against Union soldiers, including the Centralia Massacre. After the war, as members of various gangs of outlaws, they robbed banks, stagecoaches, and trains. Despite popular portrayals of Jesse James as an embodiment of Robin Hood, robbing from the rich and giving to the poor, there is no evidence that he and his gang shared any of the loot from their robberies. February 14, 269St. Valentine, a Roman priest, is martyred during the persecution of the Christians by Emperor Claudius II. St. Valentine is commemorated in the Anglican Communion, as well as in Lutheranism. Since the High Middle Ages, St. Valentine has been associated with a tradition of courtly love. It was thought that Valentine's Day was created as an attempt to supersede the pagan holiday of Lupercalia (mid-February in Rome), but this idea has lately been dismissed by other researchers. Many of the current legends that characterize St. Valentine were invented in the 14th century in England, notably by Geoffrey Chaucer and his circle, when the feast day of February 14th first became associated with romantic love. In the United States, the first mass-produced valentines of embossed paper lace were sold shortly after 1847, by Esther Howland of Worcester, Massachusetts. Valentine's Day symbols that are used today include the heart-shaped outline, doves, and the figure of the winged Cupid. Since the 19th century, handwritten valentines have given way to mass-produced greeting cards. 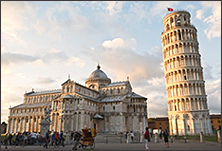 February 15, 2001The Leaning Tower of Pisa reopens after 11 years. It took $27 million to fortify it, but it didnt destroy its famous lean. As well as cleaning centuries of grime from the Tuscan landmark, restorers helped stabilize its tilt by removing soil from beneath one side of its foundation. Its angle was previously 5.5 degrees from the perpendicular, but is now only 3.99 degrees off straight. Experts say the seven-story bell tower should now be safe from further intervention for at least the next 200 years. February 16, 1222Japanese monk, Nichiren, is born in the village of Kominato (now part of the city of Kamogawa), Nagase District, Awa Province (within present-day Chiba Prefecture). Nichiren taught devotion to the Lotus Sutra as the exclusive means to attaining enlightenment. Entitled Myoho-Renge-Kyo in Japanese, it contained Gautama Buddha's teachings towards the end of his life. This devotion to the sutra entails the chanting of Nam Myoho Renge Kyo (referred to as daimoku) as the essential practice of the teaching. 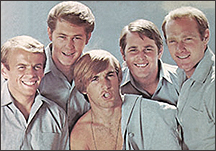 February 17, 1962The Beach Boys start making waves with their first Southern California hit Surfin. Their new musical style (Surf Music) sweeps America like a tidal wave, when they hit nationally with Surfin Safari in August. The group's original lineup consisted of brothers Brian, Dennis, and Carl Wilson; their cousin, Mike Love; and their friend, Al Jardine. The Beach Boys began as a garage band managed by the Wilsons' father, Murry, with Brian's increasingly sophisticated songwriting and recording abilities dominating their creative direction. Emerging at the vanguard of the "California Sound," they performed original material that reflected a southern California youth culture of surfing, cars, and romance. After 1964, they abandoned the surfing aesthetic for more personal lyrics and multi-layered sounds. Distinguished by their vocal harmonies and American cultural-based songs, they are one of the most influential acts of the rock era and one of the most critically acclaimed, commercially successful, and widely influential bands of all time. Their hits include Surfin USA, Surfer Girl, Little Deuce Coup, In My Room, Fun Fun Fun, I Get Around, Dont Worry Baby, California Girls, Wouldnt It Be Nice, God Only Knows, Good Vibrations, Heroes and Villians, and Do It Again. The band would rival The Beatles in popularity and continue performing into the 21st century, with and without Brian Wilson. February 18, BC 3102This day is the origin of the Kali Era (the Kali Yuga) in India. This is the lowest portion (between the end of involution and the beginning of evolution) for human experience in the current period of Manifestation. The Kali Yuga is the last of the four stages the world goes through as part of the cycle of yugas described in the Sanskrit scriptures, within the present Mahayuga. 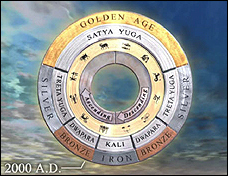 The other ages are called Satya Yuga, Treta Yuga, and Dvapara Yuga. The "Kali" of Kali Yuga means "strife," "discord," "quarrel," or "contention." Hindus believe that human civilization degenerates spiritually during the Kali Yuga, which is referred to as the Dark Age because in it people are as far away as possible from God. Qualities of the Kali Yuga include: Rulers will become unreasonable and will levy taxes unfairly; people will start migrating, seeking countries where wheat and barley form the staple food source; avarice and wrath will be common with humans openly displaying animosity towards each other; sin will increase exponentially, while virtue will fade and cease to flourish; and people will become addicted to intoxicating drinks and drugs. Most interpreters of vedic scriptures, as Bhaktisiddhanta Sarasvati Goswami and his recent disciple, Bhaktivedanta Swami Prabhupada, believe that the Earth is currently in Kali Yuga, which lasts 432,000 years. The Kali Yuga is thought by some authors to last 6,480 years, although other durations have been proposed. February 19, 1913The first prize is inserted into a Cracker Jack box. Cracker Jack is an American brand of snack food, consisting of molasses-flavored, caramel-coated popcorn and peanuts. The name was registered in 1896. It was named by an enthusiastic sampler who remarked: "That's a crackerjack!" (a colloquialism meaning "of excellent quality"). A slogan, "The More You Eat The More You Want," was also registered that year. Cracker Jack's mascots Sailor Jack and his dog, Bingo, were introduced as early as 1916, and registered as a trademark in 1919. Prizes were included in every box of Cracker Jack beginning in 1912. 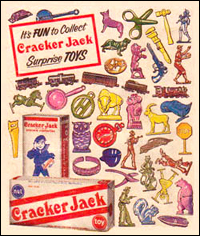 Early "toy surprises" included rings, plastic figurines, booklets, stickers, temporary tattoos, and decoder rings. Books have been written cataloging the prizes, and a substantial collector's market for the trinkets exists. The Cracker Jack brand has been owned and marketed by Frito-Lay since 1997, and in 2016, it was announced that the prizes would no longer be included. Some food historians consider Cracker Jack the first junk food. February 20, 1872The Metropolitan Museum of Art opens in New York. Colloquially called "the Met," it is located in New York City and is the largest art museum in the United States. It is among the most visited art museums in the world. Its permanent collection contains over two million works, divided among 17 curatorial departments. The main building, on the eastern edge of Central Park along Manhattan's Museum Mile, is by area one of the world's largest art galleries. A much smaller second location, The Cloisters at Fort Tryon Park in Upper Manhattan, contains an extensive collection of art, architecture, and artifacts from Medieval Europe. On March 18, 2016, the museum opened the Met Breuer Museum at Madison Avenue in the Upper East Side, which extended the museum's modern and contemporary art program. The permanent collection consists of works of art from classical antiquity and ancient Egypt, paintings and sculptures from nearly all the European masters, and an extensive collection of American and modern art. The Met maintains extensive holdings of African, Asian, Oceanian, Byzantine, Indian, and Islamic art. The museum is also home to encyclopedic collections of musical instruments, costumes and accessories, as well as antique weapons and armor from around the world. February 21, 1965Black nationalist leader, Malcolm X, is murdered by Black Muslim assassins in New York, New York, at age 39. He was about to address a meeting of his Afro-American Unity Organization at the Audubon Ballroom. He had broken away from the Nation of Islam. Fifteen hundred people will attend Malcolms funeral in Harlem, New York, at the Faith Temple Church of God in Christ on February 27, 1965. The Autobiography of Malcolm X, published shortly after his death, is considered one of the most influential nonfiction books of the 20th century. February 22, 1732George Washington, the first President of the United States, is born in Westmoreland, Virginia, British America. He was the Commander-in-Chief of the Continental Army during the American Revolutionary War and one of the Founding Fathers of the United States. He presided over the convention that drafted the U.S. Constitution, which replaced the Articles of Confederation and remains the supreme law of the land. Washington established many forms in government still used today, such as the Cabinet system and the inaugural address. His retirement after two terms and the peaceful transition from his presidency to that of John Adams, established a tradition that continued up until Franklin D. Roosevelt was elected to a third term. Washington has been widely hailed as the "father of his country." He was revered in life and in death. Scholarly and public polling consistently ranks him among the top three presidents in American history. He has been depicted and remembered in monuments, public works, currency, and other dedications to the present day. His image appears on the U.S. $1 bill. February 23, 14551855Carl Friedrich Gauss, the world's foremost mathematician, dies in Göttingen, in the Kingdom of Hanover (present-day part of Lower Saxony, Germany). His brain was preserved and studied by Rudolf Wagner, who found its mass to be 1,492 grams (slightly above average) and the cerebral area equal to 340.362 square inches. Highly developed convolutions were also found, which in the early 20th century was suggested as the explanation of his genius. Gauss contributed significantly to many fields, including number theory, algebra, statistics, analysis, differential geometry, geodesy, geophysics, mechanics, electrostatics, astronomy, matrix theory, and optics. February 24, 1955Steve Jobs, co-founder of Apple Computer, is born Steven Paul Jobs in San Francisco, California. He was an entrepreneur, businessman, inventor, industrial designer, and the creative genius behind the development of the Macintosh computer. In 1997, as the new CEO of the company, Jobs oversaw the development of the iMac, iTunes, iPod, iPhone, and iPad, and on the services side, the company's Apple Retail Stores, iTunes Store, and the App Store. The success of these products and services provided several years of stable financial returns, and propelled Apple to become the world's most valuable publicly traded company in 2011. The reinvigoration of the company is regarded by many as one of the greatest turnarounds in business history, as Steve Jobs brought Apple back from near bankruptcy. Although he earned only $1 a year as CEO of Apple, he held 5.426 million Apple shares worth $2.1 billion. February 25, 1943Musician, George Harrison, of The Beatles, is born at 12 Arnold Grove, Wavertree, Liverpool, England. He was the fourth child in his family. In December 1992, Harrison himself told Billboard magazine that he had recently discovered that he had been born on February 24th, shortly before midnight (11:42 p.m.). But George's birth certificate bears the date of February 25th, which is the date that has been traditionally observed as his birthday. In the early days of Beatlemania, he was nicknamed The Quiet One. Officially the third Beatle, he was the bands lead guitarist, sang harmony on a majority of their records, and usually provided one song per LP. By the mid-1960s, Harrison had become an admirer of Indian culture and mysticism, introducing it to the other Beatles. And in 1968, they all traveled to Rishikesh in northern India, to study meditation with Maharishi Mahesh Yogi. By late 1969, Harrison embraced the Hare Krishna tradition, particularly japa-yoga, chanting with beads, and he became a lifelong devotee. Harrisons songs include Dont Bother Me, I Need You, I Want to Tell You, Within You Without You, While My Guitar Gently Weeps, Something, My Sweet Lord, What Is Life, Give Me Love (Give Me Peace on Earth), All Those Years Ago, and When We Was Fab. His son is musician, Dhani Harrison. He was married to model, Pattie Boyd. February 26, 1848German philosopher, Karl Marx, publishes The Communist Manifesto (co-written with Friedrich Engels), at the age of 29. Marx lived in London, England, and did much of his writing in the reading room of the British Museum. Commissioned by the Communist League and originally published in London just as the revolutions of 1848 began to erupt, the Manifesto was later recognised as one of the world's most influential political manuscripts. It presents an analytical approach to the class struggle (historical and then-present) and the problems of capitalism and the capitalist mode of production, rather than a prediction of communism's potential future forms. It also briefly features their ideas for how the capitalist society of the time would eventually be replaced by socialism. The Communist Manifesto is divided into a preamble and four sections, the last of these a short conclusion. In all, it was written over six to seven weeks. Although Engels is credited as co-writer, the final draft was penned exclusively by Marx. Engels himself wrote in 1883, that "The basic thought running through the Manifesto belongs solely and exclusively to Marx." February 27, 1827The first Mardi Gras celebration is held in New Orleans, Louisiana. Mardi Gras is French for "Fat Tuesday," reflecting the practice of the last night of eating richer, fatty foods before the ritual fasting of the Lenten season. The parades in New Orleans are organized by social clubs known as krewes; most follow the same parade schedule and route each year. The earliest-established krewes were the Mistick Krewe of Comus, the Knights of Momus, and the Krewe of Proteus. Several modern "super krewes" are well known for holding large parades and events, such as the Krewe of Endymion (which is best known for naming celebrities as grand marshals for their parades), the Krewe of Bacchus (similarly known for naming celebrities as their Kings), as well as the Zulu Social Aid & Pleasure Club, a predominantly African American krewe. Float riders traditionally toss throws into the crowds. The most common throws are strings of colorful plastic beads, doubloons (aluminum or wooden dollar-sized coins usually impressed with a krewe logo), decorated plastic "throw cups", Moon Pies, and small inexpensive toys. The festival season now varies from city to city where Mardi Gras is celebrated, as some traditions, such as the one in New Orleans consider Mardi Gras to stretch the entire period from Twelfth Night (the last night of Christmas which begins Epiphany) to Ash Wednesday. On Mardi Gras Day, the Tuesday before Ash Wednesday, the last parades of the season wrap up and the celebrations come to a close with the Meeting of the Courts (a.k.a. locally as the Rex Ball). In 1875, Louisiana declared Mardi Gras a legal state holiday. February 28, 1692The Salem "Witch Trials" begin in Massachusetts. These were a series of hearings and prosecutions of people accused of witchcraft in colonial Massachusetts between February 1692 and May 1693. The trials resulted in the executions of 20 people, 14 of them women, and all but one by hanging. Five others (including two infant children) died in prison. The hearings were conducted in several towns: Salem Village (now Danvers), Salem Town, Ipswich, and Andover, but the most infamous trials were conducted by the Court of Oyer and Terminer in Salem Town. The episode is one of Colonial America's most notorious cases of mass hysteria. It has been used in political rhetoric and popular literature as a vivid cautionary tale about the dangers of isolationism, religious extremism, false accusations, and lapses in due process. It was not unique, but a Colonial American example of the much broader phenomenon of witch trials in the early modern period, which also took place in Europe. Many historians consider the lasting effects of the trials to have been highly influential in subsequent United States history. February 29, BC 45The leap year begins when Julius Caesar adds an extra day to the Julian calendar every fourth year upon the advice of astronomer, Sosigenes. Other possible beginnings of leap year are: in 1582, Pope Gregory XIII ordered every fourth year to be a leap year (leap year brought the Gregorian calendar closer to the Earth's orbital period of 365.2422 days) unless it is a century year that cannot be divisible by 400; in 1698, Protestant rulers of Germany and the Netherlands thought it was time they agreed with the Pope; in 1752, the English made the calendar change; and in 1918, when the Russians picked up on the Gregorian calendar. Regardless, it is called leap year because it is not a common year. 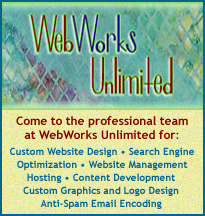 A common year consists of exactly 52 weeks plus one day, while a leap year consists of exactly 52 weeks plus two days. PHOTOS FROM TOP TO BOTTOM: Clark Gable; Johannes Gutenberg; The Smothers Brothers; Bob Marley; The Beatles arrive in America on February 7, 1964; James Dean; The Beatles appear on The Ed Sullivan Show for the first time on February 9, 1964; Shirley Temple; Abraham Lincoln; Jesse James; the Leaning Tower of Pisa; The Beach Boys; a depiction of the "Yugas";Cracker Jack prizes; George Washington; Steve Jobs; George Harrison; The Communist Manifesto by Karl Marx; and art for the leap year date of February 29th.